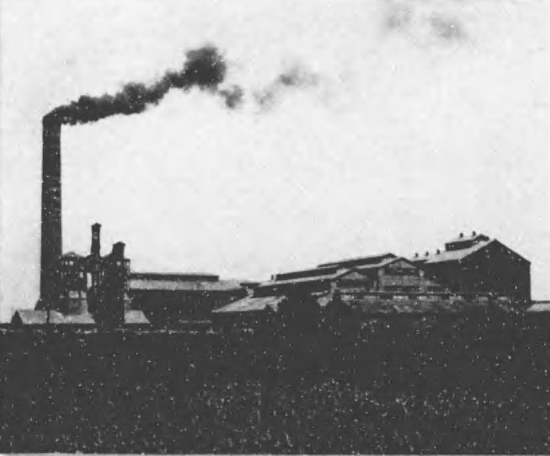 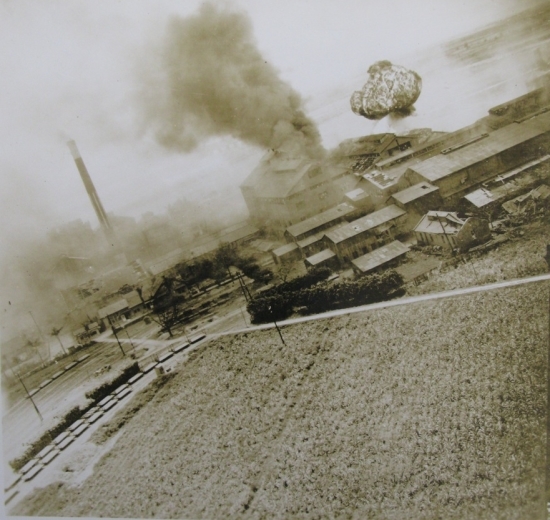 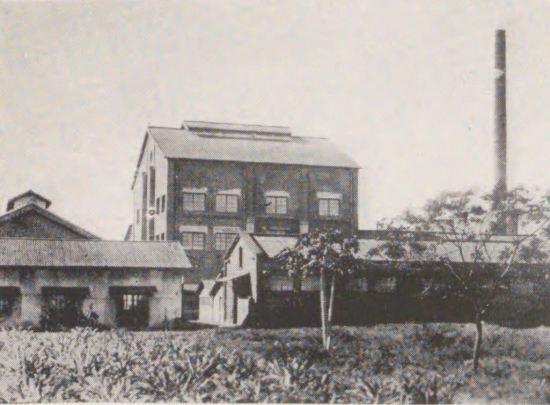 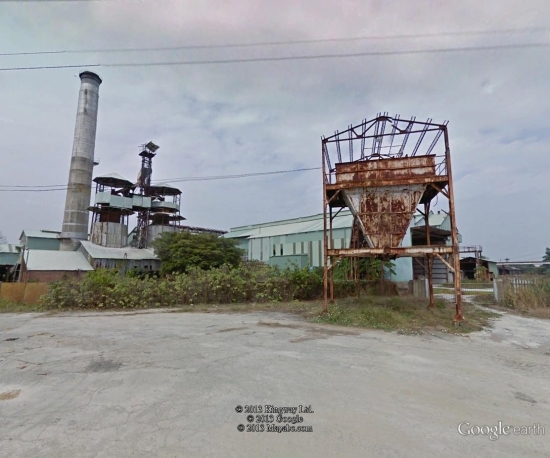 Above is a historical photo of Nansei Sugar Refinery’s smokestack, referred to as Mizukami by the US military because it was located in Mizukami Sho (currently Shuishang Township, Chiayi County). 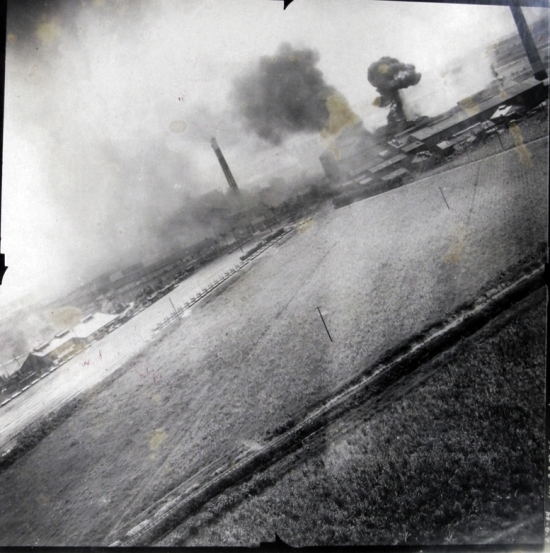 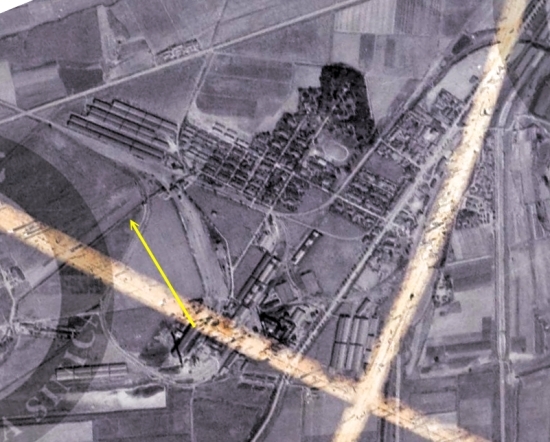 This refinery was attacked by 7 A-20 attack aircraft of the 3rd Bombardment Group, escorted by 12 P-38 fighters, on April 24, 1945, in Mission 114C-1X. 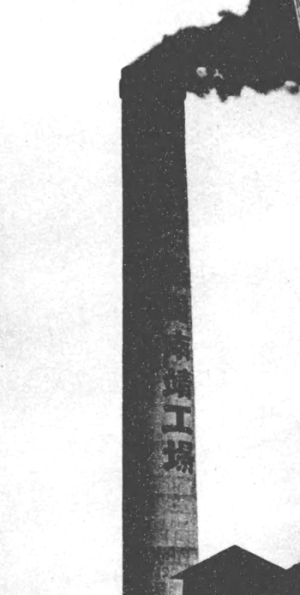 No additional textual records about this mission could be found. 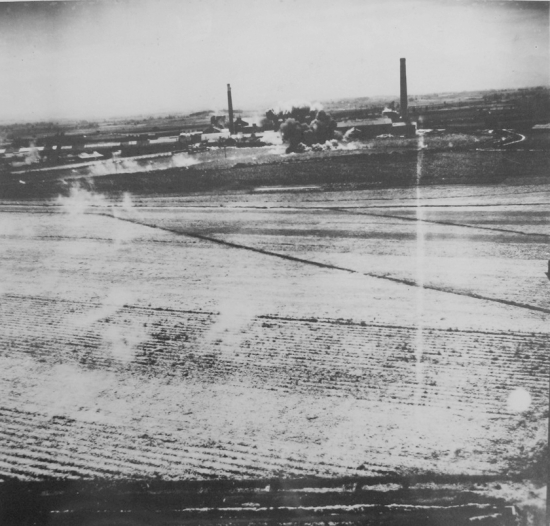 The following is three strike photos taken during this mission.